The London in Los Angeles is home to Michelin-rated Gordon Ramsay’s restaurant. After a satisfying three course meal, we gazed at the dessert menu and opted for the pink lady apple tarte tartin. It’s one of their “serves two” sweet treats. Two plates arrived in a luscious brown butter caramel sauce, bathed softly in cooked apples on top of a chewy pastry crust. The vanilla bean ice cream accompanied this heavenly goody. 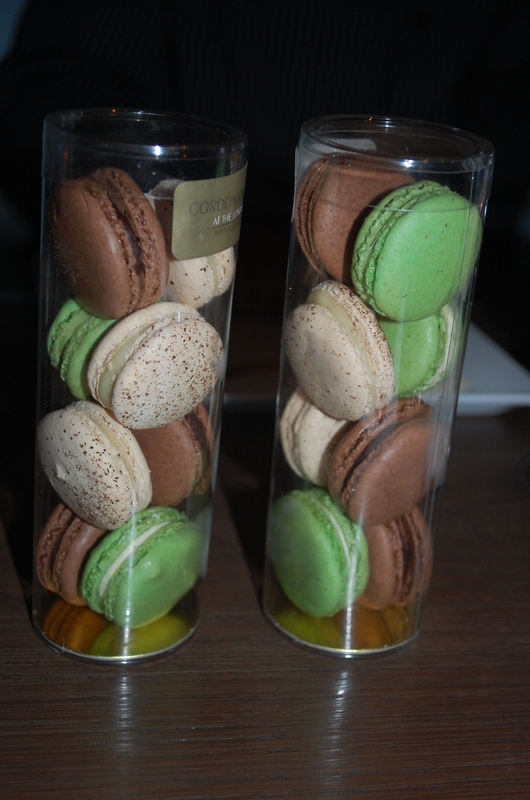 A great dessert to keep the memory of The London with you when you return home is the French Macaroons “To Go” package. These colorful sweet confectionary treats arrive in a tidy package. Since these meringue cookies are so light and airy, the luscious chocolate, almond and pistachio filling gives it a burst of sensuous flavors. 1020 N. San Vicente Blvd., West Hollywood (310)358-7788.